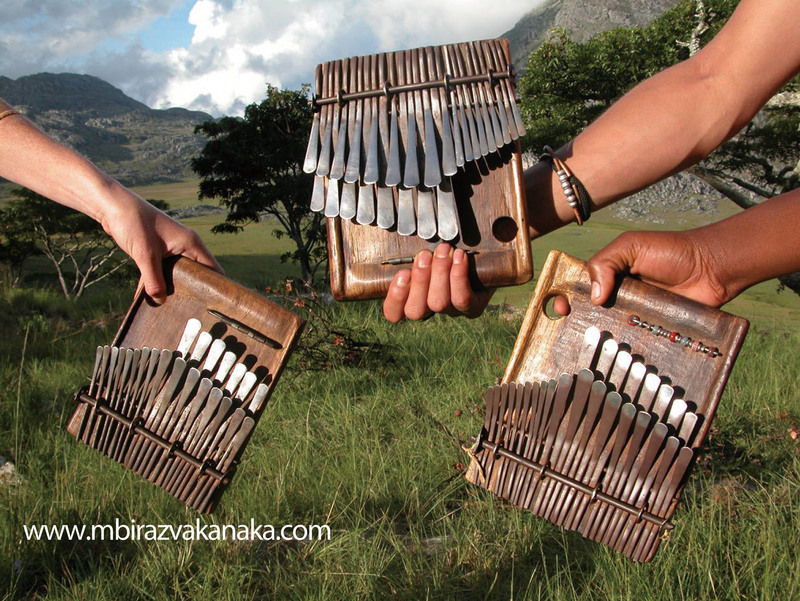 Welcome to mbira zvakanaka webstore! There are good varieties of qualified mbiras purchased firsthand in Zimbabwe as fair trade products. 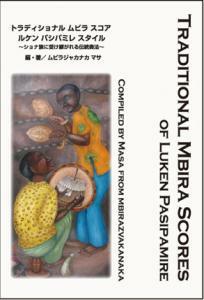 A mbira score by famous mbira virtuoso Luken Pasipamire to learn the traditional music is our original product. Please feel free to ask any questions by e-mail. It would be our pleasure to answer all your question and invite you to the beautiful soundscape of mbira . All the payment would be made through PAYPAL safely without any commission by credit card or from your bank account. First, choose the destination from the drop-down menu in which posting fee is already included. Then, click the “Add to cart” button and make your payment according to the guidance. If your destination is not in the menu, please send us a mail for details. 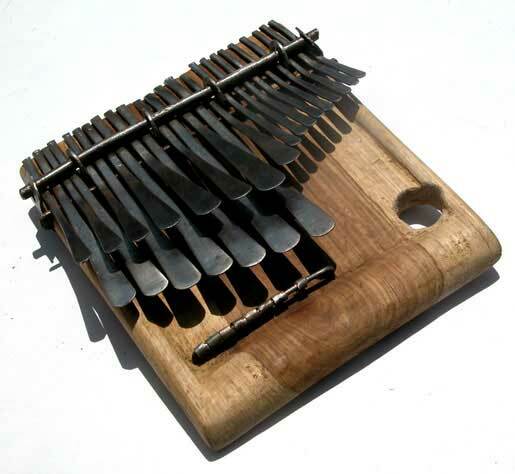 Mbira is delivered by postal EMS(express mailservice) as earliest after the confirmation of the receipt of the payment. By using EMS, you could receive the item speedy and check the delivery status through website,and the item is handled with the highest priority of any international mail. In the drop-down menu, you choose the destination of the order and the price includes the shipping fee on top of the price of mbira. As for mbira score book, the shipment would be made by Air mail(printed matter). If you wish for EMS, please send us a mail prior to your order and the posting fee would be informed to you. 16 mbira songs with lyrics from mbira vertuoso, Luken Pasipamire transcribed and recorded on three companion CDs. 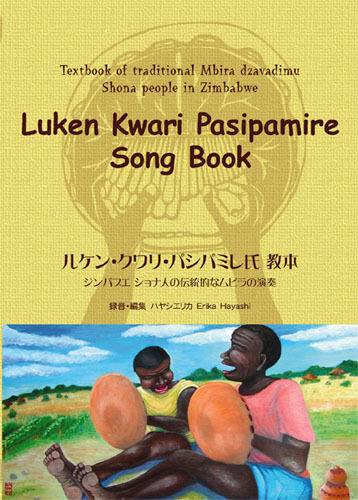 Although the text is in Japanese, you could easily understand the score as lyrics are written in Shona and English and mbira tablatures are in Roman numerals. 12 mbira songs with lyrics from mbira vertuoso, Luken Pasipamire transcribed and recorded on 2 companion CDs. The text is in written in both English and Japanese and mbira tablatures are in Roman numerals.DVD is also attached which includes a message from Mr. Luken, talking about an old mbira passed down from his family(4:51), a ceremony video at Mhondoro, Zimbabwe(28:12) and Hosho lesson by Mr. Luken(2:00). 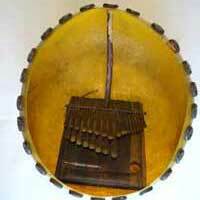 The mbira is a kind of thumb piano played by Shona people in Zimbabwe. Among the thumb pianos in Africa, the mbira is charactarized by its highly sophisticated structure of the instrument developed over hundreds of years to play their polyrythmic spiritual music at their sacred ceremony. Another feature of the mbira is that mbira is set into a hollow gourd In order to amplify the sound while many of thumb pianos have a box for the purpose. 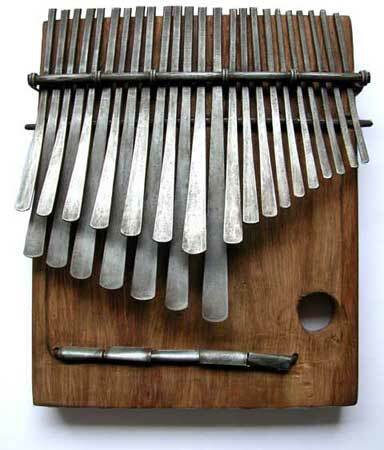 The mbira scale is diatonic of seven notes and the mbira has a range of three octaves. It is similar to western scales without half tones. 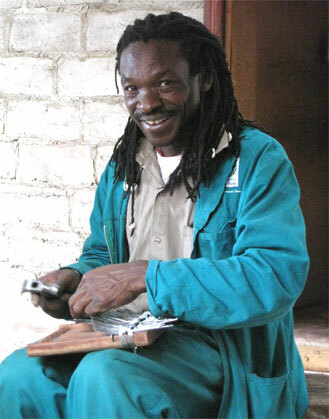 mbira craftsman makes his own tunings and scales in Zimbabwe using their ears unlike the unified western musical instruments. A mbira could be played beautifully by a person but mainly played by more than two in their traditional play style at their spiritual ceremony. In this context, it takes two mbiras in same tuning and scale at least. Although the diversity of the tunings is one of the important features of the mbira, we think it is more important to be able to play together with anyone who have a mbira. As it’s been found through my visits to Zimbabwe that many craftsmen share a similar tunings and scales, our shop set a standard of the traditional tunings and call it “STANDARD TUNING” .At our shop, two kinds of mbiras are sold which are standard tuning and western tuning other than Low mahororo mbira by Mr. Garikayi Tirikoti which is another form of standard tuning. STANDARD TUNING(Nyamaropa tuning) : The lowest key is B flat(almost) and it is similar to E flat major scale. If you wish, you could re-tune it to exact E flat major scale . You would enjoy the original African sound created by its unique scale. Among the several popular tunings in tradtional mbiras, some people call this tuning “Nyamaropa” named by a Zimbabwean traditional song. WESTERN TUNING: The lowest key is G and it is exact C major scale tuned by a digital tuner. You would enjoy the familiar sound and easily play with other instruments like guitar. Alignment of the keys are as same as the traditional tuning mbira and you can also play the Zimbabwean traditional songs. Real hand made and rich overtones. Most recommended by our shop! Mr. Tirikoti is an international famous artisan and also a genius player who have visited US and Europe several times for his teachings and performances. His mbira has beautiful over tones which would surely fascinate you. 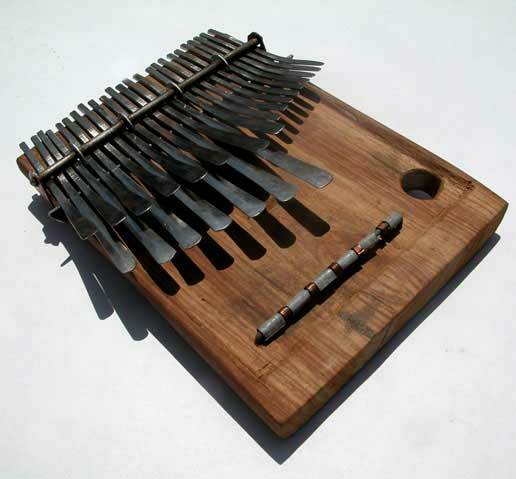 Each of his mbira has its own character as it is handmade and even wooden sound board is shaped by Zimbabwean small axe. As you play it for years, you would love it more and be satisfied of being the owner. Beautifully buit just like machine made! Mr. Bvure is an international famous artisan. He has an excellent manual skill and his mbira looks like a factory made as it is good in shape. The sound board is shaped by a machine. His hammering method is unique as the keys look like Japanese swords. 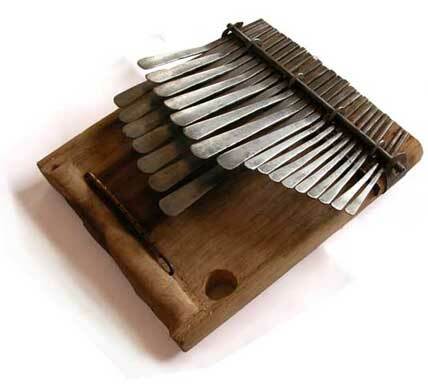 Soft iron is used for the keys and it is the best mbira for beginners, females and soft fingers. ■Two sizes are avaliable: Choose the one and give us instruction in your mail. Built in traditional way and reasonable price! 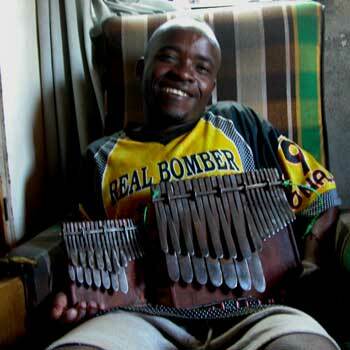 Mr. Chinakwe started his career as marimba maker but now he has shifted to mbira making. He makes good mbira though he has not been recognized internationally yet. The sound board is nice and thick for resonance, and the keys are tightened by wire as same as the exact way the mbira has been built from the the Middle Ages. He works carefully and finishes beautifully. Good for beginners and saving person. You can play both the tradtional and western songs! 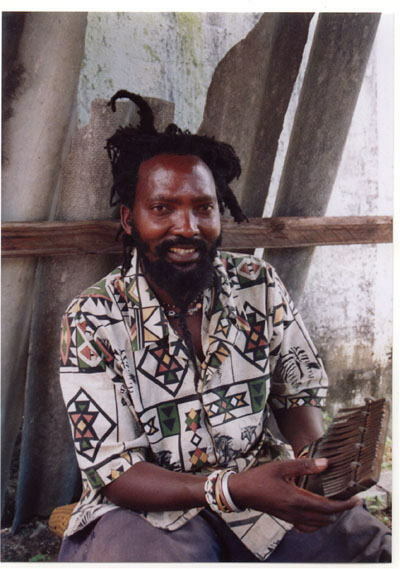 Mr. Jona is born in a rural area called Mhondoro where mbira has been played for centuries. In order to adapt to current music scene, he tunes his mbiras in western scale. The keys are hammered hundreds of times to become very thin and wide of which sound is rich in overtone, and its soft keys are easy to play. Good to play the western music with other instrument though mbira does not have half tones as well as Zimbabwean traditional songs. 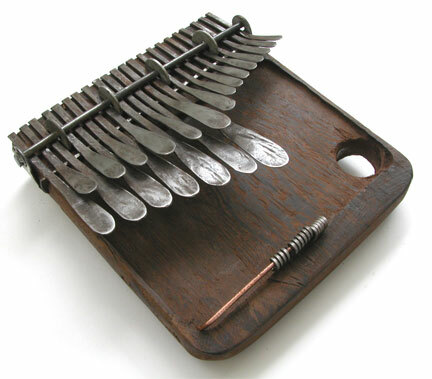 It is an octave lower than Jona’s middle size mbira and they could be played together nicely. Put in your bag and bring it to everywhere you go! 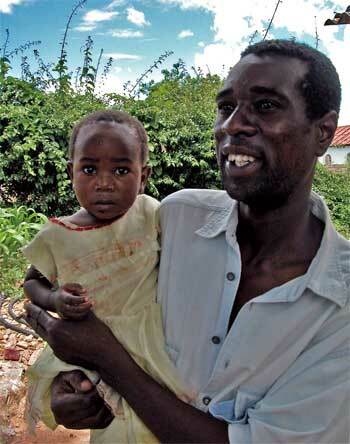 Mr. Jona is born in a rural area called Mhondoro, Zimbabwe where mbira has been played for centuries. In order to adapt to current music scene, he tunes his mbiras in western scale though the alignment of the keys are as same as tradtional tunings. Good to play the western music though mbira does not have half tones and Zimbabwean traditional songs as well. As the size is very tiny and easily fit into your bag, you would feel like bringing it anywhere you go. Though the size is good for kids, the keys are a bit hard and for them. It is an octave higher than Jona’s middle size mbira, they could be played together nicely. How low can you go? Deep and heavy bass sound kicks you! 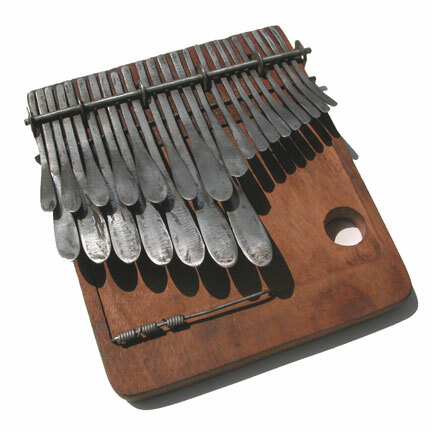 Low mahororo is a bass mbira for the standard tuning mbira of Mr. Garikayi Tirikoti. It has big sound board and fat keys which produce rich low pitch tones. It shares same scale with standard tuning mbira so they could be played together just like guitar and bass guitar. No other mbiras could make this heavy bass sound of which you could feel into your bones.